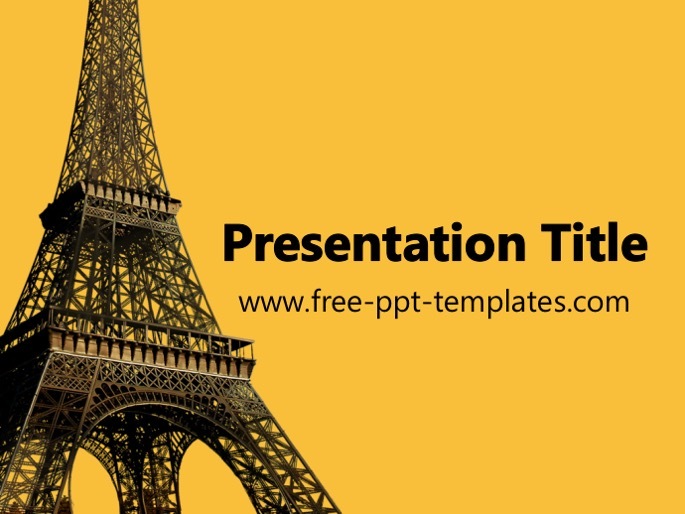 POWERPOINT TEMPLATE DESCRIPTION: Eiffel Tower PowerPoint Template is a yellow template with a background image of Parisian landmark that you can use to make an elegant and professional PPT presentation. This FREE PowerPoint template is perfect for those people that want to create a presentation about travelling to France and Paris, it's also great template for architects. There is also a free French PowerPoint Template that maybe can be the best background for your PowerPoint presentation. Find more similar templates here: Travels PowerPoint Templates.